Duplex supported the recent AHCP Study Day at Durham Cricket Club and enjoyed a successful day at this well organized event. Over 100 delegates attended from various market sectors including the NHS, care homes, councils, training providers and contract cleaners. 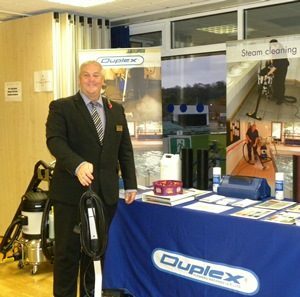 The Duplex 420/Steam and Jet Vac Ultima were shown on the day and caused a great deal of interest from delegates from all sectors.